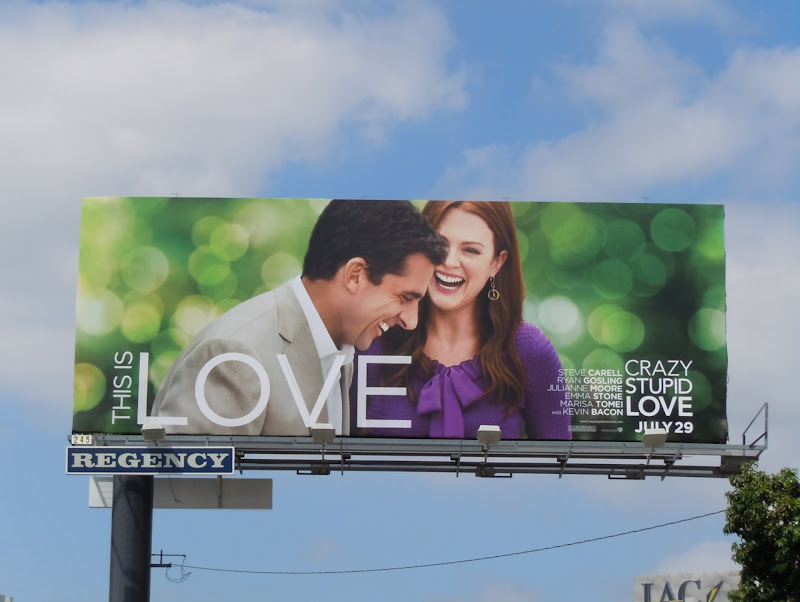 Daily Billboard is really liking this series of billboards for the latest romantic comedy to hit the big screen. 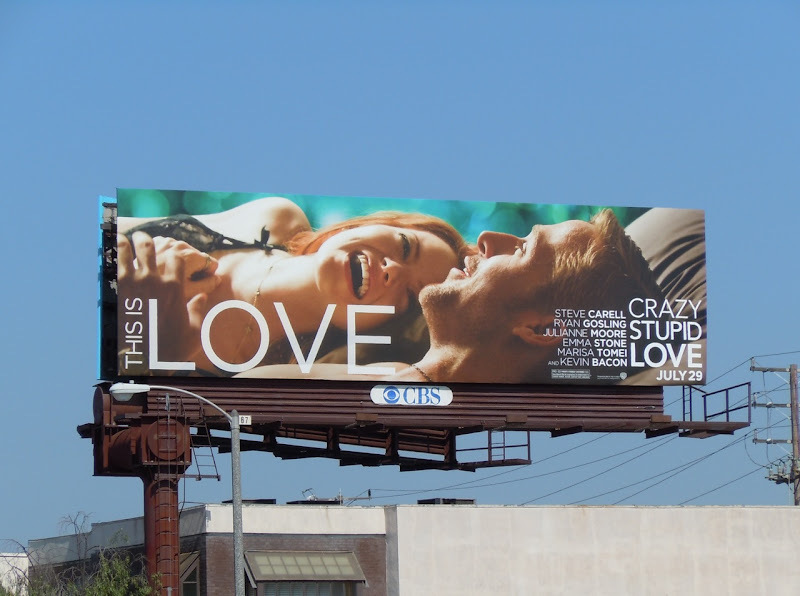 These ads for Crazy Stupid Love feature scenes from the movie, which is a refreshing change to a lot of the cheesy looking staged rom-com billboards that Hollywood studios seem to usually opt for. 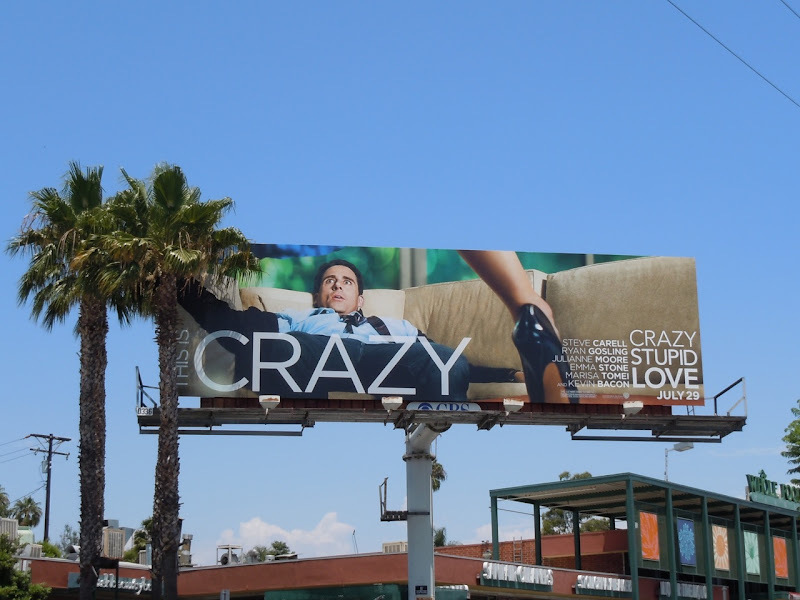 What's also endearing is that the chosen visual fits nicely with the tagline, either This is Crazy, This is Love or This is Stupid. And if that's not enough to woo you, then the all-star line up of Steve Carell, Julianne Moore, Ryan Gosling, Emma Stone, Marisa Tomei and Kevin Bacon, should help convince you. 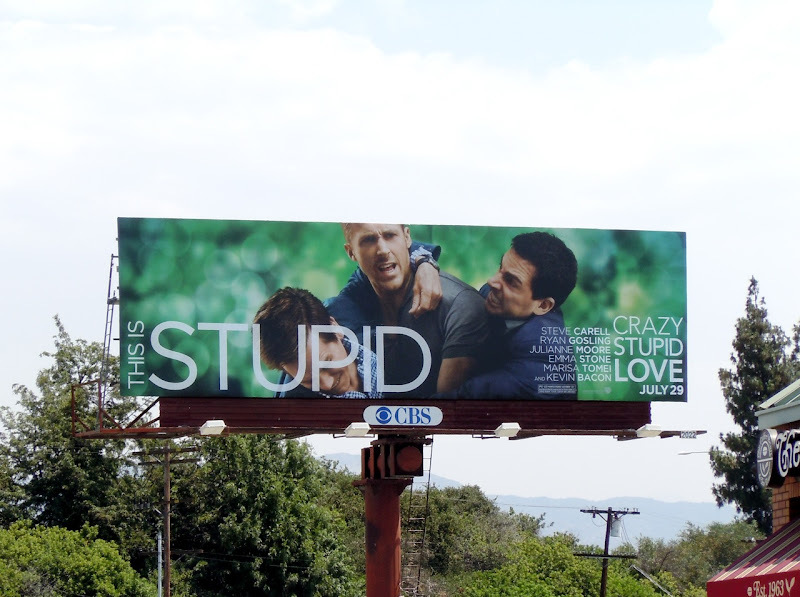 These four fun creatives for Crazy Stupid Love were snapped around L.A. in July 2011. 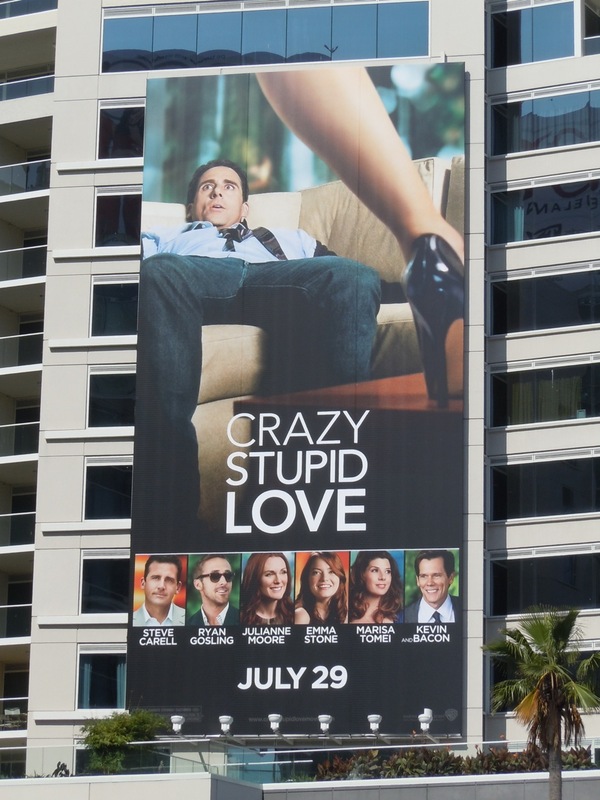 Whose legs are those hovering over Steve Carell? Maybe Julianne Moore or Marisa Tomei? Am seeing the film tomorrow night, will find out. It is Marissa Tomei and she's great in the movie! !